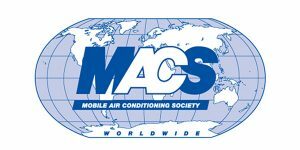 The Mobile Air Conditioning Society (MACS) Worldwide has announced it will sponsor the Automotive Software and Electronics Boot Camp with Dr. Mark Quarto, in partnership with FutureTech Auto, at the MACS training center Sept. 16-20 in Lansdale, Pennsylvania. Top auto repair shops need to learn relevant new skills related to electronics, computer software writing and coding to tackle today’s and tomorrow’s repair jobs. The automotive industry has transitioned most automotive systems into the space of advanced electrical, electronics and software controls. In addition, hybrid/electric propulsion and ADAS technologies are requiring technicians to become creative and skilled in non-mechanical aspects of the vehicle. Even modern HVAC systems have experienced advances in power electronics with the use of high-voltage electric heating, air conditioning and heat pump components. • Learn how to use electronic devices such as diodes, transistors, op-amps, opto-isolators, voltage translators, logic ICs etc. to create diagnostic & testing tools with hands-on projects. • Learn how to create microcontroller systems that can be built for use with a scan tool or on-board vehicle system to manipulate systems operation for the purposes of circuit analysis and diagnostics without the need for purchasing expensive test tools. To register for this exclusive program, click here or call 360-207-7770.